Stitching up Detroit is a Screen printing cooperative in Southwest Detroit. We provide graphic design, textile design and screen print services for customers in our neighborhood and throughout the country. 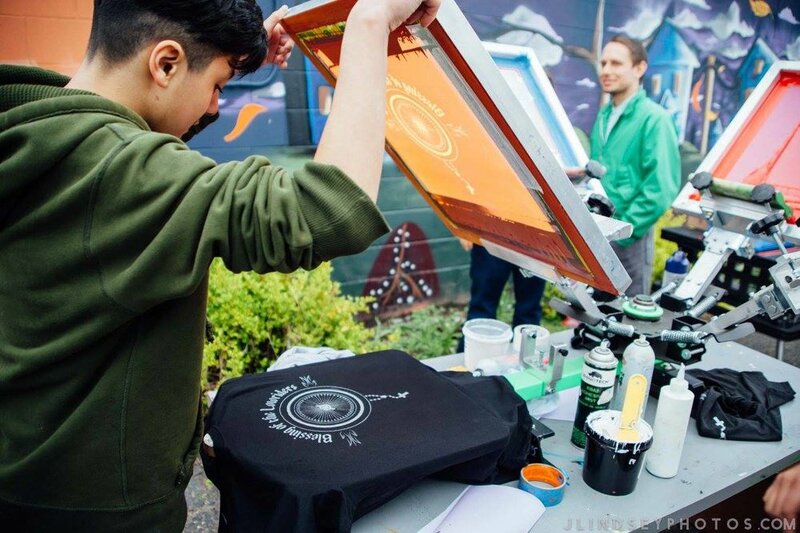 Stitching up Detroit was founded in 2013 by David Camarena and Pacal Zelaya when they were 14 years old. 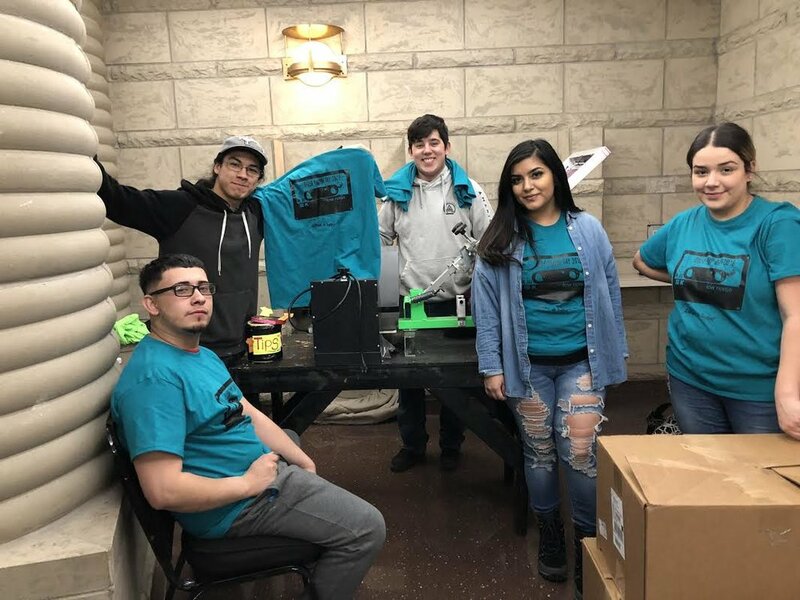 Today Stitching up Detroit has 6 founding cooperative members and includes a one year training program for middle and high school students in graphic design, textile design and screen printing. After completion of the training program, young people are able to receive apprenticeships with the Stitching up Detroit Cooperative over the summer and can apply to become full members upon the completion of their course work and apprenticeship. Stitching up Detroit is a full print shop. We provide design, screen printing, vinyl, decals, heat transfers, poster printing and foil work to interested customers at competitive prices. If you're interested in learning more about Stitching up Detroit or getting a quote on an order visit the Stitching up Detroit website. If you are interested in learning more or about Stitching up Detroit or in purchasing one of our items, click on the link above to visit our website or email us as stitchingupdetroit313@gmail.com.